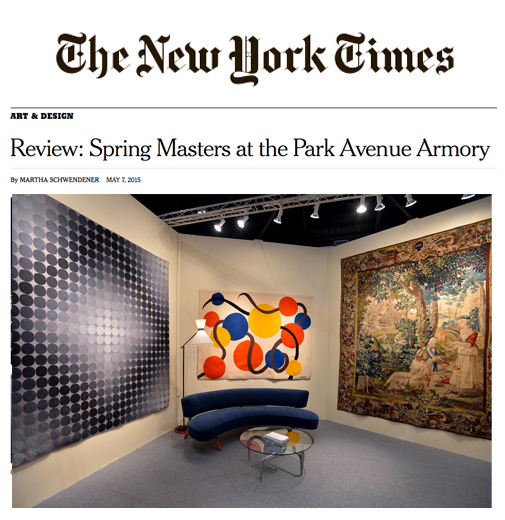 The New York Times Art & Design review of the Spring Masters 2015 art fair at the Park Avenue Armory featured Vojtech Blau’s Alexander Calder tapestry “Les Vers Noirs”. This exquisite tapestry also received critical mention by Fitz & Co., Apollo Magazine, The Observer, The New Yorker, and Artinfo. Follow these links to view more coverage.